Our Pure Rose Otto Essential Oil from Bulgaria is exquisite, with an aroma that is warm, floral and immensely rich. Pure Bulgarian Rose Otto Essential Oil is the finest rose oil available, with a beautiful, soft, rich aroma. It's a luxurious and healing skincare oil. Botanical Name: Rosa damascena Mill. Main Chemical Components: Very complex but mainly citronellol, geraniol, phenyl ethanol, nerol, stearopten. This is pure, undiluted Rose Otto essential oil - absolutely the finest Rose oils available. Rose Otto has a warm, intense, immensely rich fragrance. One of the oldest and best known of all essential oils, Rose is used in all types of perfumes to lend beauty and depth to the aroma. 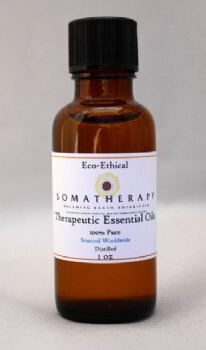 A drop or two in a massage, facial, or bath oil creates a luxurious, soothing experience. Rose oil is also used in skin creams, powders, and lotions. It is a romantic, creative, gently cheering oil. And yes, Rose essential oil is expensive, but with good reason: it takes around 60,000 roses to distill just one ounce of oil. Note that true, steam-distilled essential oil will form clear or white crystals below 70 degrees F. At even cooler temperatures, the oil will solidify and become paste-like in consistency. This change will not affect the quality of the oil. To return it to a liquid state, simply roll the bottle between your palms, or place the bottle in a bowl of warm water. To learn more about Rose essential oil, click here.